Would you like ministry updates, announcements, and words of inspiration from our Senior Leaders? Now you can receive these and more right on your mobile phone and via email. 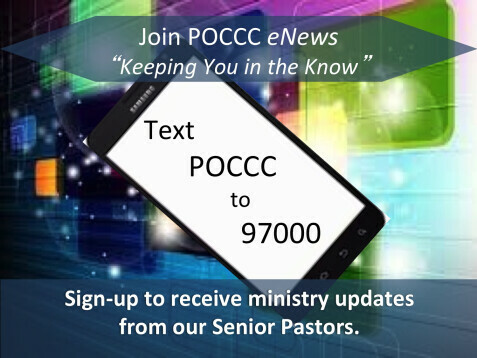 Text POCCC to 97000 to stay connected to what is going on in your church. We are committed to keeping YOU “in the know” at Power of Change.